Few Ohio cattlemen are without areas like this that must be addressed after soil conditions permit this spring. Winter always creates challenges for livestock producers. Keeping ice out of water buckets and off our water troughs can be a challenge, especially with sub-zero temperatures like we had a few weeks ago. Of course that did provide solid ground for a few days, something we have not seen much of this fall or winter. Pastures and feeding areas have really taken a “hit” this year causing mud to sprout and grow everywhere it seems. Every livestock owner I have talked to the last few weeks has the same situation, more mud and more tracked-up fields than they can ever recall before. What is “Grass Tetany” and when are cattle most likely to have it? Grass tetany, also known as spring tetany, grass staggers, wheat pasture poisoning, winter tetany or lactation tetany, is a condition due to a low level of magnesium (Mg) in the blood. The disorder in adult cattle begins with muscle spasms and quickly progresses to convulsions, respiratory difficulty, and death. The amount of magnesium in the blood is completely dependent on the amount obtained from the daily diet. Deficiencies occur most often in beef cows when they are nursing a calf and grazing young, green grass in early spring. Fast-growing spring pastures are high in potassium (K+) and nitrogen (N+) and low in magnesium (Mg++) and sodium (Na+). Affected cattle often have low blood calcium concurrently. Fall calving cows may also experience grass tetany during the winter months. It is never too early to think about weed control in Ohio pastures. While it may only be February, there are steps you can take to get prepared for combatting weeds in 2019. Extension Educators across Ohio are actively training new and experienced private and commercial pesticide applicators on integrated pest management, safe handling of pesticides, responsible record keeping, and new rules and regulations. To learn more about training and recertification opportunities for pesticide applicators, visit www.pested.osu.edu. Those of us on the Eastern side of Ohio are gearing up to address a new aggressive weed in our pastures, CRP land, and roadsides. Spotted knapweed has been creeping its way into our landscapes over the past few summers. Along with traditional education about pasture management and weed control, additional help is available for landowners who spot spotted knapweed on their property. To suggest the past year has been a challenge for Ohio’s cattlemen is, at best, an understatement. The weather made it nearly impossible throughout 2018 to harvest high quality forage in a timely fashion, the constantly muddy conditions caused animals to utilize more energy than normal, and even though temperatures were moderate during much of the fall, cows with a constantly wet hair coat were expending more energy than normal. 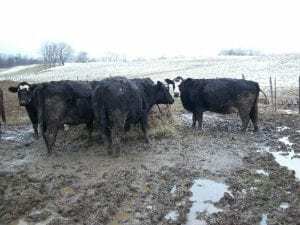 Then, as late January evolved into February, in many cases mud was matting down the winter coats of cattle reducing their hair’s insulating properties, thus causing them to utilize even more energy in cold weather. In combination, this created potential for the “perfect storm” that reportedly is resulting in a challenging calving season in parts of Ohio, as well as concern for conception rates as we move into the subsequent breeding season. Cull cow prices in Oklahoma in the latest weekly data averaged $59.50/cwt., up from $58.00/cwt. the previous week. Boning cow prices have risen four consecutive weeks since mid-January. The increases are exactly as expected seasonally as cull cow prices typically increase sharply from January into February on the way to seasonal peaks in May. Cull cow prices typically achieved the bulk of the seasonal price increase by March and hold close to seasonal peak prices through August before declining to fall lows. USDA continues to catch up on reports stalled by the shutdown and as part of catching up released the January Cattle on Feed report on Friday, February 22. The report has lost a little bit of it’s normal timeliness, but still contains a few interesting nuggets. Sanitation is paramount when administering implants for beef cattle. Manure, dirt and bacteria must be removed and a disinfectant solution should be applied to the implant injection site area of the ear. Growth implant efficacy and return on investment decreases if an abscess forms because of unsanitary practices. In one study, average daily gains were decreased 8.9% (3.18 versus 2.92 pounds) and feed efficiency decreased 8.5% (5.62 versus 6.14 pounds of feed per pound of gain) by abscessed growth implants. With all of the rain we have had, hay fields, and pastures may need re-seeded in areas that have been torn up. 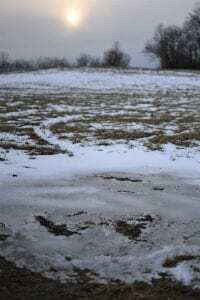 There is a method called “frost seeding” where you apply seed to the ground and the freezing and thawing of the soil in February and early March will provide seed to soil contact allowing germination of the seed. There is a little more risk of the seed not germinating than a traditional seeding, but the cost and time is a lot less. 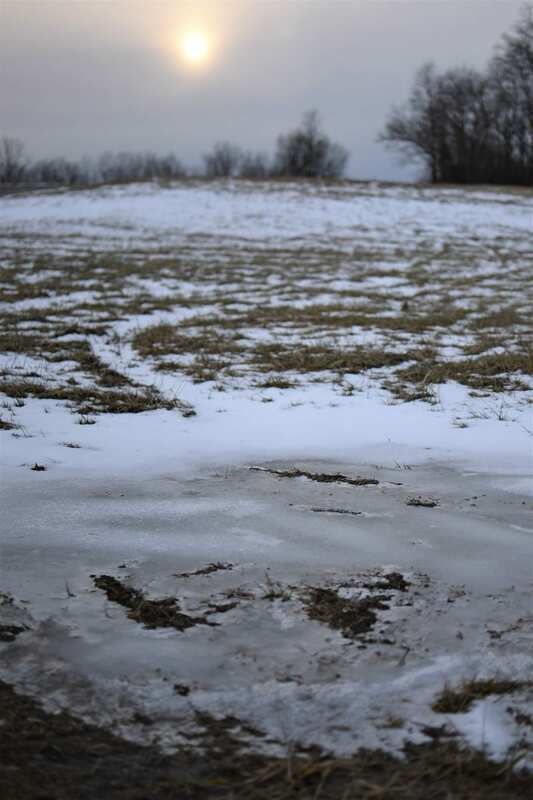 Pasture and hay fields that have thin stands and exposed soil, especially fields that have been damaged from the wet weather are good candidates for frost seeding. The seed that works best is clover. Medium red clover is the cheapest seed and works well. Other clovers will also work, and even some grass seeds.